CROWN HEIGHTS, Brooklyn (WABC) -- A murder investigation is underway in Brooklyn after an unidentified man was fatally stabbed Tuesday morning. 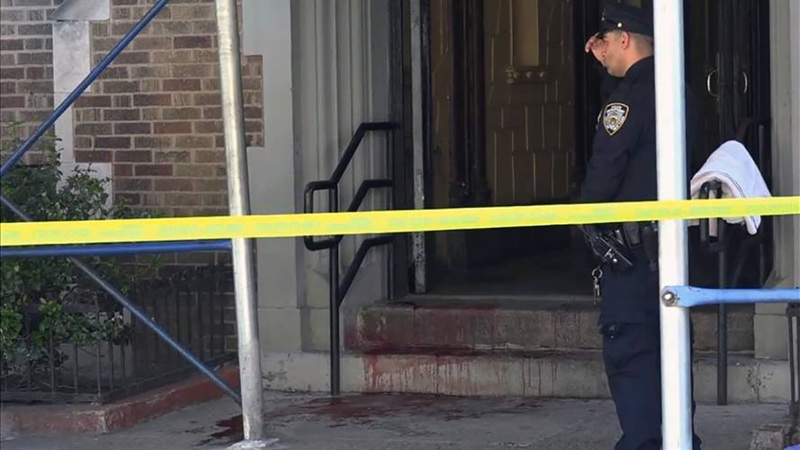 The incident happened inside an apartment building on Brooklyn Avenue in Crown Heights just before 11 a.m.
Police say the victim was stabbed in the neck with unknown object. He was pronounced dead at Kings County Hospital. No arrests have been made, and the motive is not known. Neither the suspect nor the victim has been identified by police.